Do you want to have experiences for the best low impact and high-intensity cardio workout at home? Maybe your answer is buying the elliptical trainer for your daily exercise equipment and maybe that’s all what you need for this time. But, with so many ellipticals now available from big brands like Nautilus and Schwinn. 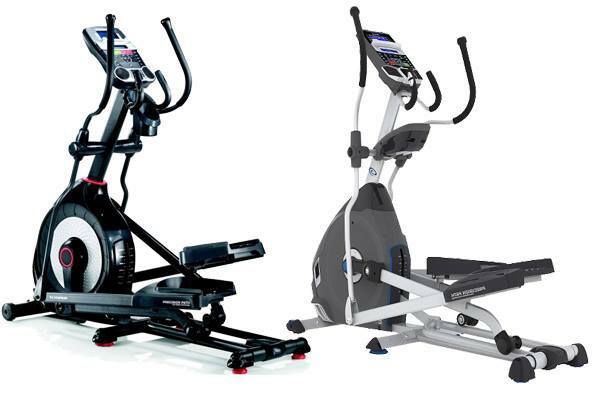 How do you know which machine has the best features for your personal fitness goals? For helping you find the best answer, we provide an article about the comparison between Schwinn 470 and Nautilus E616. Because these units often being founded the similarities and also the differences. The Schwinn 470 Elliptical Machine is elliptical trainers for a family upright and recumbent bikes aims to develop products for healthy and an active lifestyle. There are 29 programs, 4 user settings and goal tracking are all there to keep you motivated and challenged. And there are 25 levels of resistance aligned with a high speed high inertia perimeter weighted flywheel make every workout smooth and quiet. This elliptical has DualTrack LCD display to set and track time, distance, and calories. There is also a USB port for the console to charge your smartphone, tablet or other media device while working out so you do not have to worry about draining your battery. A ten degree motorized inside the machine will give you an ergonomic, fat-burning workout, with intuitive controls and customizable programs to work with your specific fitness goals. If you want to know your heart rate, you can see it from its integrated heart monitor. With easy to use features, simple assembly, and a unique console designed with you in mind, the newly designed Schwinn 470 is made with the same high standards that has made the Schwinn name famous. Take a look: Schwinn 430 vs 470. The Nautilus E616 is ready for helping you to get fit with up to the challenge. There are a lot of features you will like on this elliptical trainers. For the first example, there are 29 customizable workout programs and 25 levels of resistance for the top-of-the-line. The console speakers is also equipped with an MP3 input port and USB media charging to save your device from the low-battery condition. The sophisticated thing also about the bluetooth LE technology that allows you to effortlessly sync to the Nautilus Connect portal, the Nautilus Trainer App, and the popular nutrition app MyFitnessPal. It also features our DualTrack display, allowing you to cover the main display with your tablet or magazine and still track your workout results on a second high-resolution blue backlit LCD monitor, making the E616 Elliptical the ultimate combination of features and technology. The reason that its so hard to choose between the two models is that Nautilus seem to have copied the specs of the Schwinn and produced an Identically spaced machine. Actually telling the two machines apart is incredibly difficult, most of the difference is really cosmetic, and personal taste. Even when we do comparison on its price, these two elliptical trainers also almost have the similar price about $800 above. What a confusing!